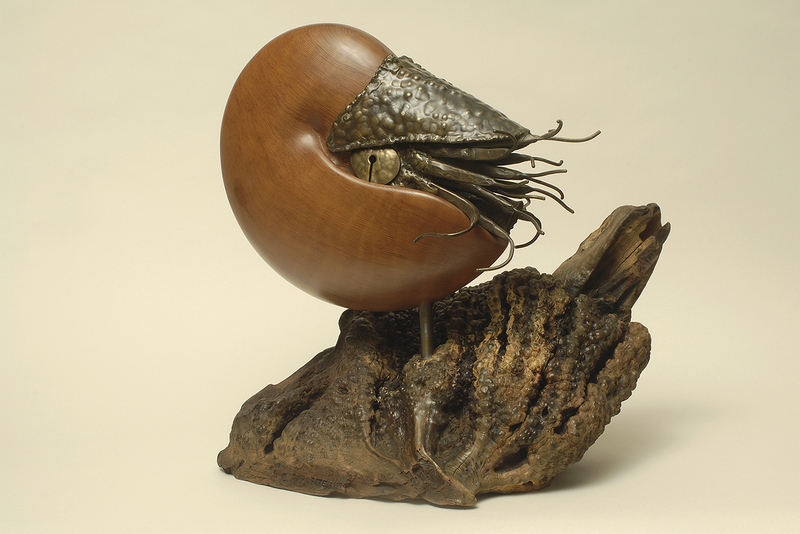 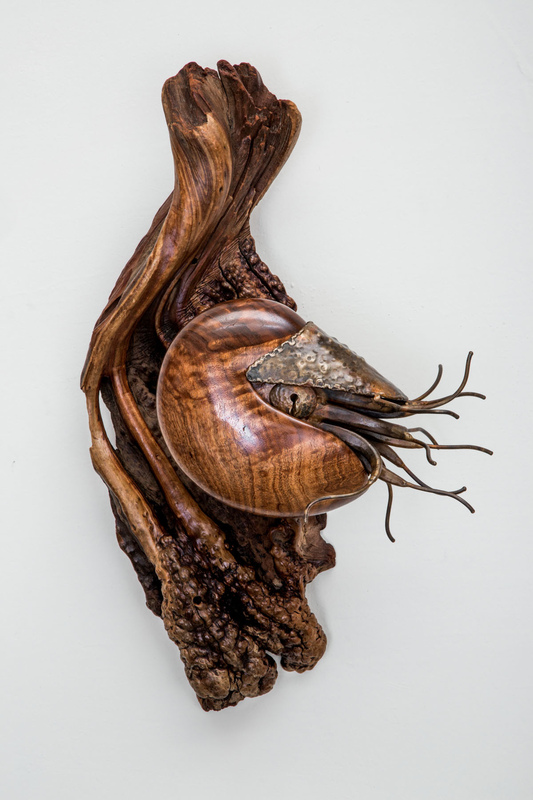 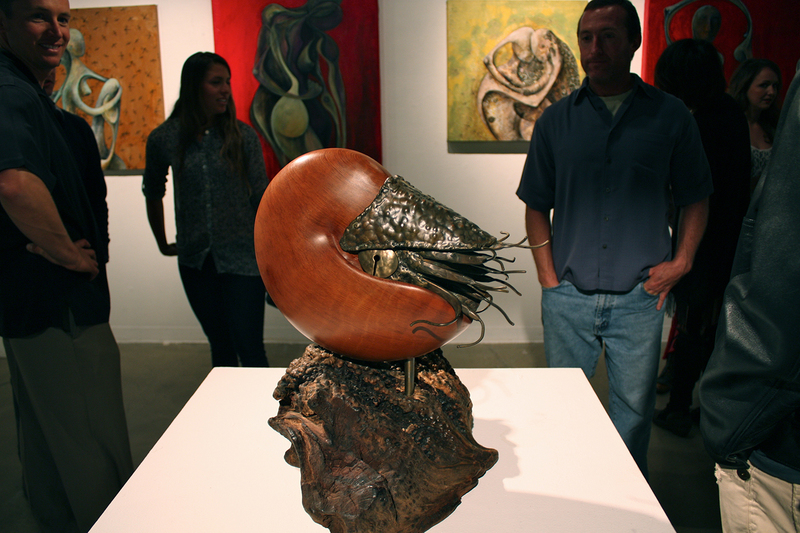 Considered to be a “living fossil”, nautiluses are ancient relatives of squid and perfect as a sculpting subject. 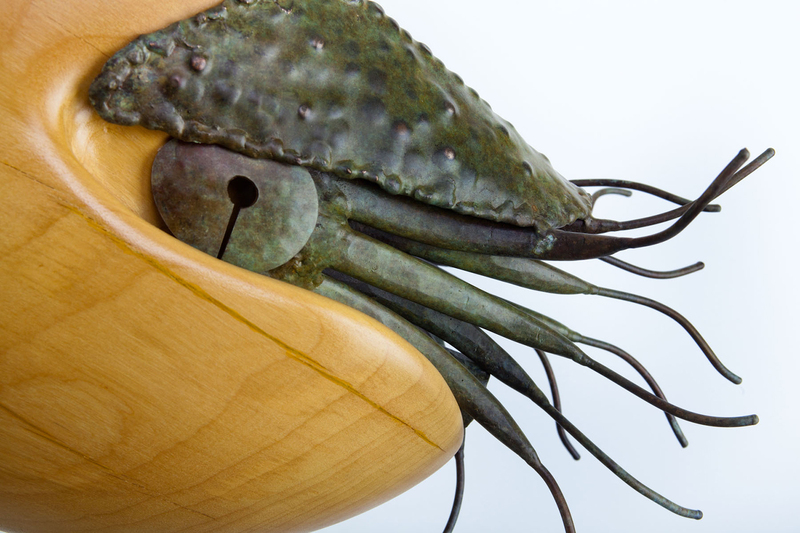 Unlike squid, they have a shell, which has a series of chambers where air is added or subtracted to obtain neutral buoyancy. 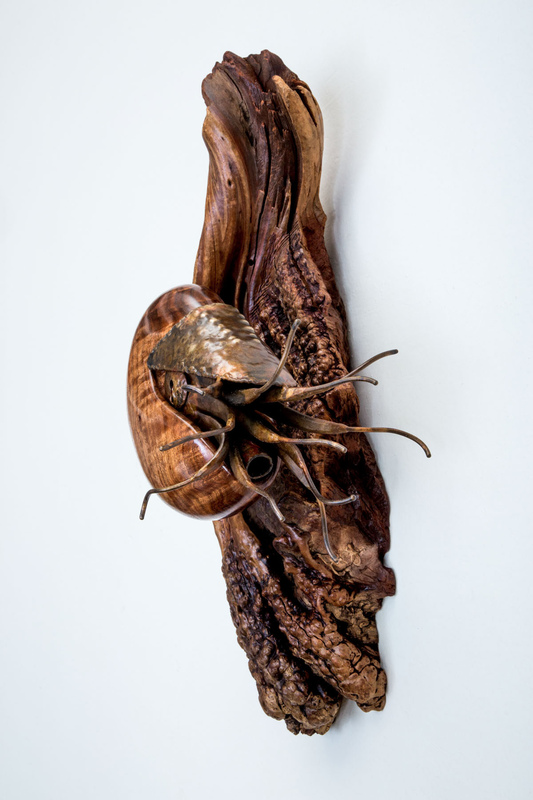 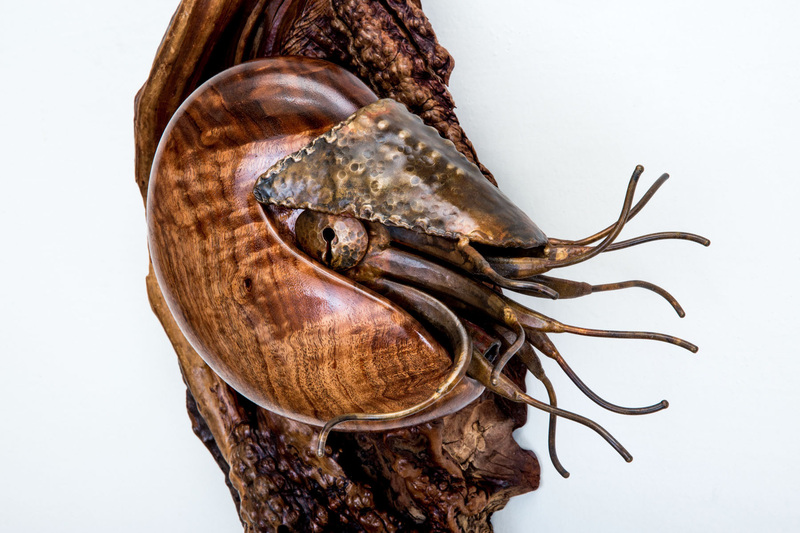 In all renditions of Ancient Mariner, the the body of the nautilus is forged and welded of bronze, while the shell has been carved from various rare or exotic woods, including quillo bordon and curly redwood. 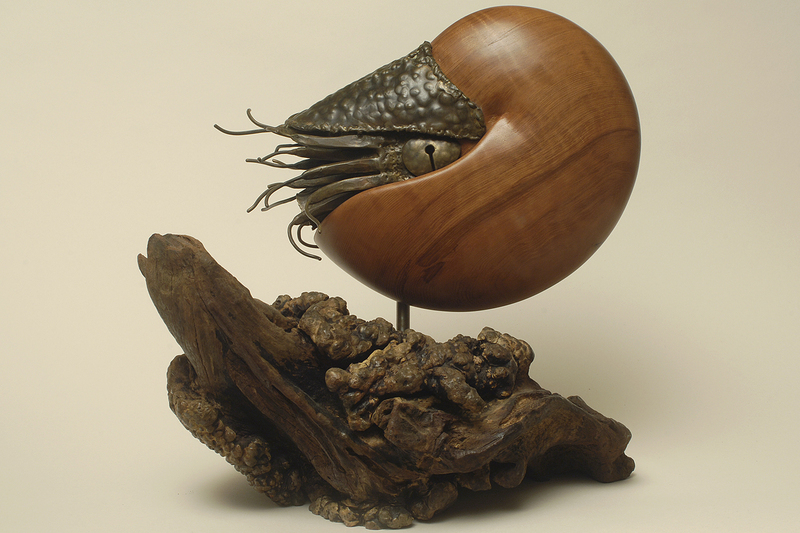 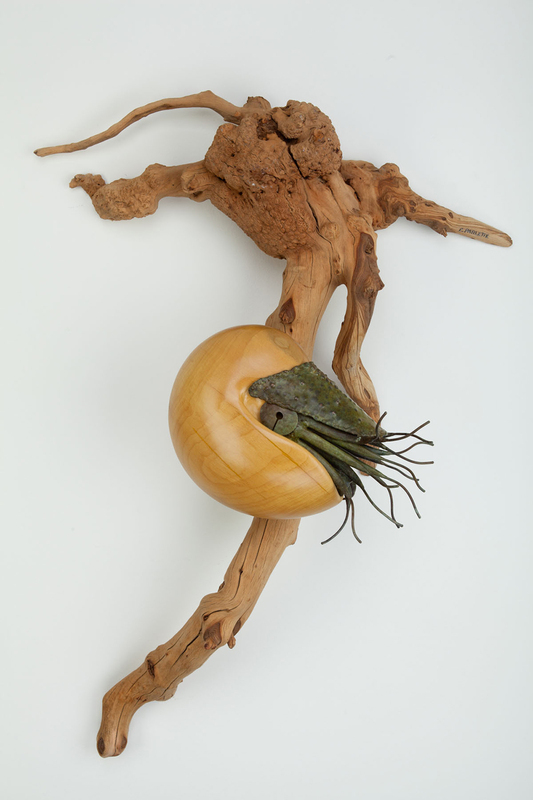 Bases for Ancient Mariner have varied from manzanita burl to driftwood, for both tabletop display and wall mounting.